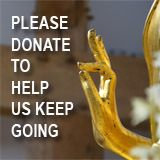 Dharma Dew | Website aims to project "original Pure Land Buddhism"
Website aims to project "original Pure Land Buddhism"
Hong Kong, China -- A new website on Pure Land Buddhism – http://www.purelandbuddhism.org was recently launched to promote awareness of the "original Pure Land Buddhism". The aim of the new site is to introduce to international audiences the original Pure Land school in the lineage of Tang Dynasty China’s Master Shandao (???? ), synthesizer of the Pure Land thought of the great early masters and de facto founder of Pure Land Buddhism. The website, the only one of its kind in English, is part of a broader effort, now gathering momentum in eastern Asia, to restore the original face to Pure Land Buddhism, the subject of so much historically-accumulated confusion and misunderstanding about its true nature. Pure Land has long been the largest school of Buddhism in China and eastern Asia. But the versions that have flourished over the past millennium are not the original form taught by Shandao. The reason is historical: Because of a Buddhism-persecution campaign in the late Tang Dynasty, the writings of Shandao and his disciples were lost in China for a thousand years. 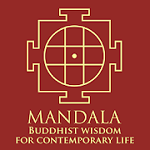 During that period, the teachings became mixed as masters from other traditions interpreted Pure Land Buddhism according to the doctrines of their own schools. Shandao’s texts were, however, transmitted to Japan, where they not only survived but thrived. The Shandao lineage became the basis on which the Jodo Shu (Pure Land School) and, later, the Jodo Shinshu (True Pure Land School) were founded. These evolved into a dominant stream of Japanese Buddhism, though with many features different from what Shandao had taught. It wasn’t until the end of the Qing Dynasty that Master Shandao’s original writings were “re-exported” back to China. However, war, revolution and political upheavals posed formidable obstacles to the systematic study and propagation of pristine Pure Land Buddhism. Only with the relative peace and social development of recent decades have such efforts begun in earnest.